New Era Industries was incorporated in the year 1956 with a vision to be a world leader in its field. 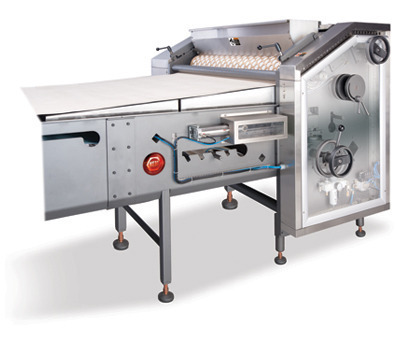 From a humble beginning manufacturing machine tools, the company has now emerged as a world class player in the field of Biscuit Manufacturing Machinery. The company's sprawling infrastructure is located 300 kms north of New Delhi, the capital city of India. World Class Technology both in mechanical & electrical engineering has been the strength of the company. Determination, flexibility and commitments form the pillars of success. Meeting customized requirements is of paramount importance. An extension to our heritage is our contribution to automation & information technology through our sister concern New Era Control Devices Private Limited. This company is a highly successful system integrator of Schneider Electric India, which offers a composite range of industrial automation solution for shop floor to top floor connectivity, using web based technologies. The SCADA package used is based on open technology protocol like TCP/IP for user friendly approach. A New era has begun.......... Advanced mechanization, increasing productivity of wide-ranging goods, has become the pillars of modern managemnet. Since 1956, New Era Industries has kept up with this tradition of growth. By sharing experiences with our customers, we have accumulated abundant, precious know-how by which we offer superior "efficiency"/ In order to keep up with the market, we constantly develop new products, and also try to decrease production costs. Originality, creativity and a strong wil to grow has helped us to reach height of success. No wonder, at New Era, the future is bright and promising.